If you’re purchasing tickets to the 2019 Arty Party, please select the “2019 Arty Party Ticket” choice in the donation box and indicate how many tickets you wish to purchase in the description box. If you’re purchasing more then one ticket, please enter the correct in the donation amount. Tickets are $25 each (ex. 3 Ticket = $75) If you have any questions, please feel free to contact our office at 313.943.5478 and we will contact you as soon as possible. Thank you! 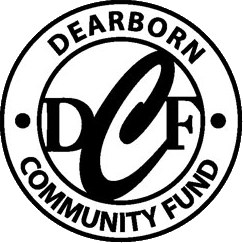 You can help the Community Fund by providing a donation to help fund a specific project or make an unrestricted donation that will be used as needed for the Dearborn Community Fund to succeed in its mission to provide and maintain arts, cultural and recreation programs that enhance quality of life in Dearborn. You can make a donation to our general fund or designate your donation by completing the form below. Donations in any amount are most welcome. The DCF is a 501(c)3 nonprofit organization. Donations are tax deductible to the full extent permissible by law. Donors contributing $250 or more will have their names placed on the DCF Donor Wall at the Ford Community & Performing Arts Center. Note: Clicking the Submit below will take you to PayPal, where you can input your payment details. Your online donation will be processed by PayPal. PayPal allows you to contribute via all major credit cards, or via a PayPal account if you have one. You do not need to have your own PayPal account to donate to Dearborn Community Fund. All you need is a credit card or debit card.